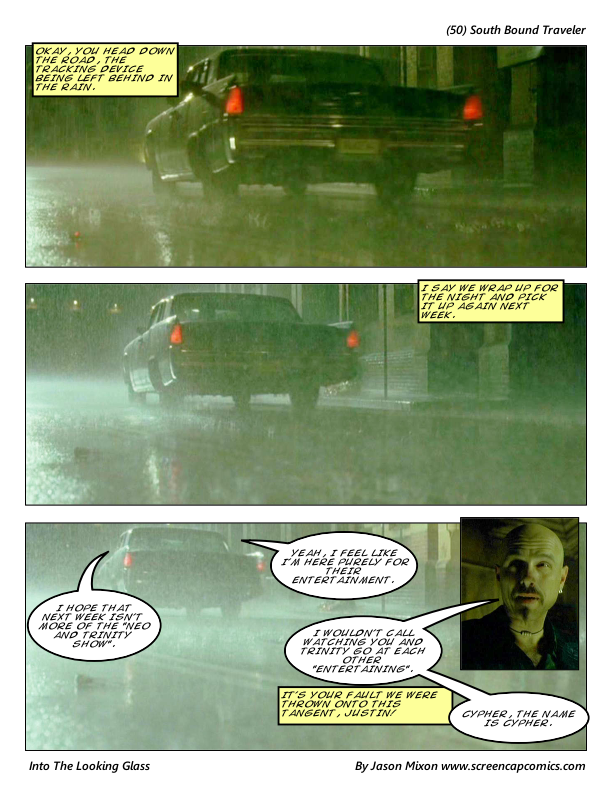 Screencap Comics – Funnier by the frame. Game sessions can last well into the wee hours of the morning (and usually do), with everyone dragging out or just crashing where they fell asleep a few hours before. Smart GMs make sure to not have gaming sessions at their house since cleaning up all of the trash and leftover players scattered around isn't something you want to do after waking up from a long session the night before. And we made it to fifty! Took a few years and several breaks from regular updates, but I will finish this out if it's the last thing I do. Okay, so there will be some site changes in the next month or so. I'm updating the look and feel of the site, so don't be surprised if something breaks. I'm working on it, promise, and I'm working on new comics as well.